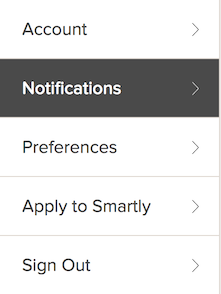 How do I edit my Smartly notification settings? From the menu on the left, select "Notifications"
From here you can modify your notification settings. 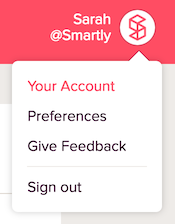 To return to Smartly, just select "Home" or click on the Smartly logo.